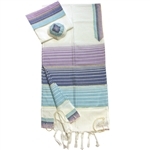 Gabrieli Tallit - "Gabrieli Weaving" was founded in 1964 by Malka Gabrieli. 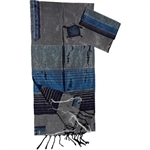 The Gabrieli Tallit and Judaica art shop, located in Old Jaffa and downtown Jerusalem, creates hand-woven, hand-loomed tallit sets in silk, wool & cotton. Gabrieli Tallit is the No. 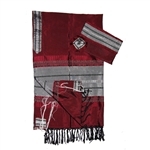 1 Tallit manufacturer in Israel.